Stacey and Stephan's, The Coopers Arms Weston on Trent Wedding, Derbyshire. 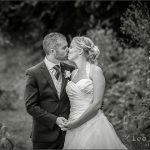 Stacey and Stephan’s, The Coopers Arms Weston on Trent Wedding, Derbyshire. If ever I could encapsulate why I photograph weddings, this wedding would have to be in there! Away from the images, and the persona I try and be online, for me Weddings are about families, the relationships, the love and the bond between people! I often hear people saying, “my daughter has a great camera” and “My son wants to be a Wedding photographer, have you any advice?”… yes! You need a certain level of skill! As well as also being able to getting to know people, you also need to feel the love between people. How can you capture something if you don’t see it? I had met the parents of Stacey and Stephen a few months before at Bradgate park in Leicester, where we did some engagement images. We included the parents, as I wanted them to get to know me and vice versa, and I’m so glad we did, as it was so much fun and I started to understand the love in these two wonderful families! I am finding it hard to put the words together about this wedding, because sadly Stacey’s Dad 4 days after this beautiful day, passed away, but we have to take strength and joy from knowing he loved every minute of his daughters day and that he was soaked up in every second of it! I want to focus on the journey the family had and why for so many reasons, the family smiled and laughed an awful lot! We started off at the family home, which was in Nailstone Leicestershire, with the Family Church opposite, and the sun shining, all the ingredients were set for this families Wedding story! Tick number one, The Bride and her father walked down the aisle, I’m not sure there was a dry eye in this church, myself included, as we sensed the importance of this moment ! After the service, we captured some lovely images of the Bride and Groom in Nailstones’, Millennium park, along with some family group shots! It was then a little drive to The Coopers Arms at Weston on Trent, Derbyshire for they’re wedding party! Stacey and Stephen were so lovely to photograph, they made me feel so welcome, to share their day, and this really helped me to relax! Im known for being able to fit into peoples weddings, I’ve said many times, I’m as thick as they come, but oooo do I love people! People are so funny, I’ve met them all! People often say, “Have long have you been friends with the couple” to which I reply “I’m not, I don’t even like them!”. Coopers Arms, in Derbyshire had some lovely spots around the Lake, we enjoyed a nice little walk in the early evening! The night for me was finished off, when the bride and groom danced with their parents and their families! What an emotional Wedding this was, I hope this family stay in my world for a long time, as the memory of their wedding certainly will!